Of all the nicknames of U.S. cities, Seattle’s is perhaps the most puzzling to visitors. No, “Emerald City” has nothing to do with the fictitious Wizard of Oz capital so you won’t find any yellow brick roads or flying monkeys here. What is very real though are the thousands of acres of green space spread throughout the urban area. Echoing Washington state’s nickname as the Evergreen State, Seattle is a surprising sanctuary for outdoor enthusiasts. It’s time to learn why Seattle is rightfully called the Emerald City. Located just off Puget Sound, Discovery Park is a quick 30-minute drive from downtown Seattle that will make you feel like you’ve left the city lights far, far behind. Discovery Park is the place to trade skyscrapers for mountain vistas, tidal beaches, stunning cliff faces, and commanding lighthouse views. It’s a captivating place, and you’ll probably want to spend the entire day there (which we fully encourage for photos). For the best pictures, plan your visit around sunrise or sunset when the lighting and rolling fog cast a mesmerizing glow upon the water. You don’t have to venture beyond city limits to enjoy a green reprieve. In fact, Olympic Sculpture Park is one of the top free attractions in the city. Located within walking distance of other tourist hotspots, the outdoor art installations will captivate anyone, young and old. 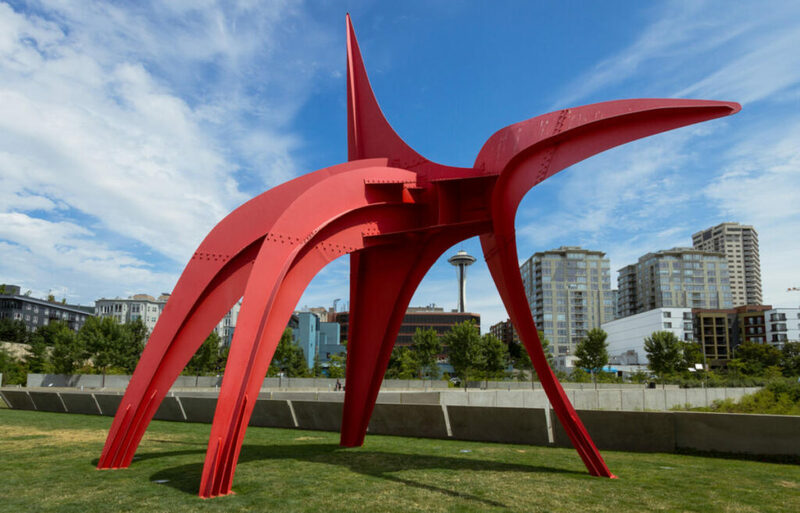 You may find yourself so inspired by the oversized sculptures that you’re motivated to explore more of Seattle’s cultural scene. If you plan your visit in February, be sure to take advantage of half price deals at over 40 museums during Seattle Museum Month. Easy to spot from the Space Needle, Mount Rainier has been the stoic guardian of Seattle since it was established as a national park in 1899. Despite its classification as an active volcano, its peaks and wildflowers draw thousands of visitors each year who are willing to face off with the gentle giant. 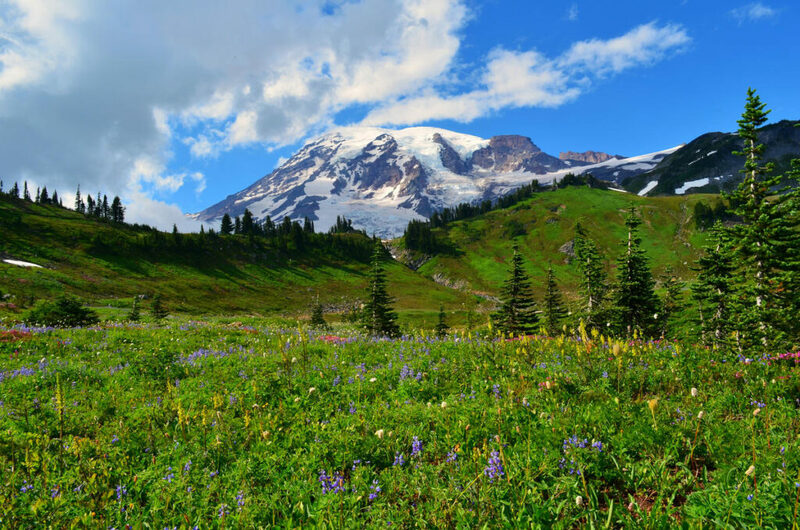 Whether you’re keen on climbing it or simply hiking through it, a visit to Mount Rainier is a rite of passage for any visitor to northern Washington. Though it occasionally grumbles and groans, it is closely monitored by the national park service to ensure all visitors safely enjoy its majestic beauty. To complete the trifecta, North Cascades National Park and Olympic National Park (recently named one of the 10 Coolest Places to go in 2017 by Forbes) are also within easy driving distance of Seattle. 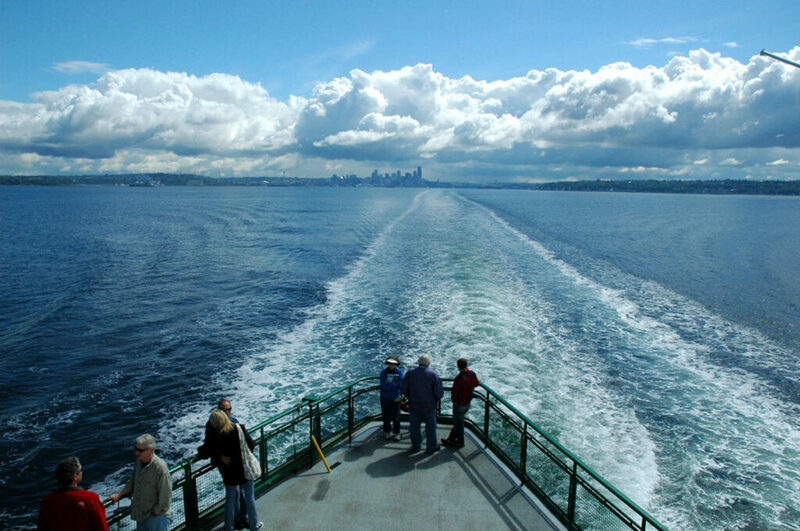 Ferries in Seattle are akin to the subway system in New York City — it’s the preferred method of transportation for commuters and can connect you to any of the surrounding islands for a lovely day on the water. Bainbridge Island is popular amongst visitors with several bike and boat rental shops, allowing you to take in the skyline from multiple vantage points. In true city-slicker fashion, simply hop back on the boat and get ready to enjoy dinner and a show in downtown Seattle. It’s the best of both worlds.